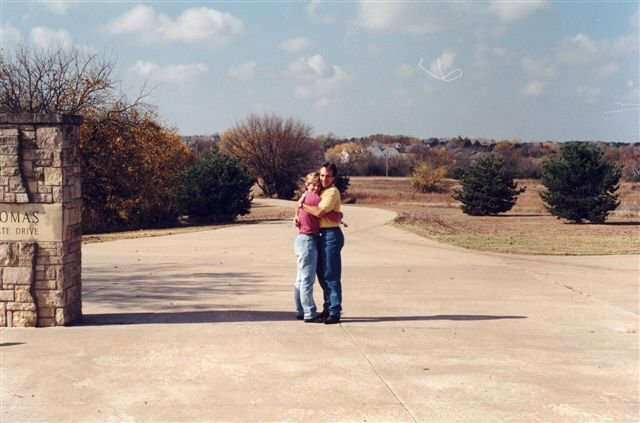 The beginning of the journey, the day we bought the land and picked the location of what would become our beloved Tango Canyon. I have mentioned in previous posts, our family has experience “transplanting” from the City to the Country. We lasted 8 years. Sometimes dark and lonely, sometimes like a cable television show where city folks learn how to manage their lives surrounded by unfamiliar creatures like scorpions, wild turkey, tortoises, vultures, newborn deer and copperhead snakes. But one thing remained constant: My husband’s dream to be close to his children and provide a simple lifestyle our family would always remember. We fought with the neighbors, our friends/employers and sometimes each other throughout the highs and lows of our time in the country. But we never stopped loving each other or our dream. The children and I made daily sojourns out to the place in the country that was to be our home and they christened it with their laughter and love. Along the way, my husband and I learned that giving up on a dream is not failure or surrender. It is just an unexpected twist in life’s path that may leave scars but also offers great gifts. When we returned to the City and the comforts of old friends and family, we had stories and experiences to share that others had only dreamed of. As one of Mike’s lawyer friends put it, “You have been away from the reservation. Not many of us have the courage to do that.” There’s something about going away that is terribly frightening and inspiring at the same time. On my horrible days, I would frown and tell people, “If you want to get to know yourself really well, move to the f—–ng PRAIRIE!”. 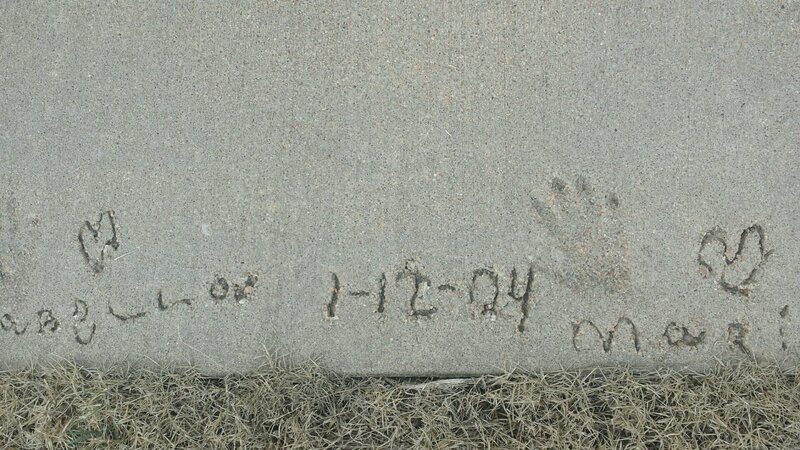 The children’s handprints in front of their country home. The part we are proud of is that our family made its mark on the people and community we grew to love – and they on us. We did not fit in there nor do we really completely fit in back here in the City because of the lessons we learned in our small town. But that’s okay. We had a dream, we lived it for awhile and then gracefully left it behind…..and survived to tell about it! 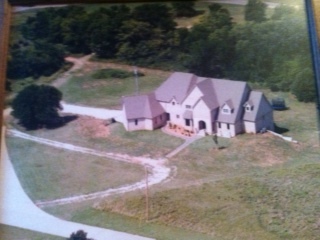 Our safe haven in the country…..the place we asked our children to leave in search of a new life in Kansas City. So, on the 5th anniversary of our departure from the home we loved so well we named it after Mike’s father’s homeland’s national dance, “Tango Canyon,” I am proud to report that all is well. Transition complete. Our journey unfolds before us everyday and it is good. 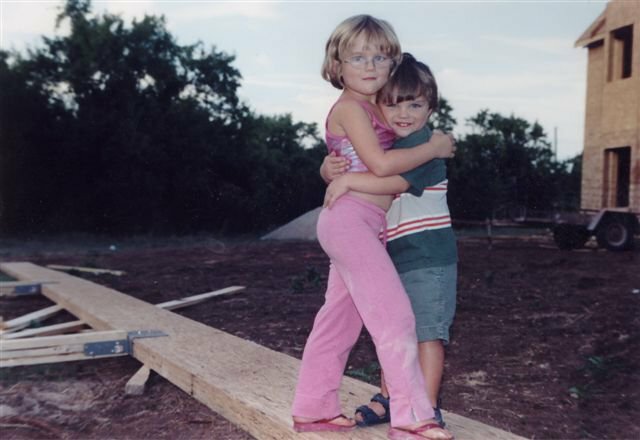 And we are better for having known the rugged world of Southern Kansas and its inhabitants. We have a lot going on right now, and are struggling a bit with “giving up a dream” — my husband more so than me. I’m the one saying, “it’s okay. We’ve tried and the harder we’ve tried the harder it’s become. It’s time to accept this and move on…and that is OKAY. We need to try in a different way.” Anyway, reading this was exactly what I needed today. Thank you for sharing. I especially liked this line –“We did not fit in there nor do we completely fit in back here in the city. And that’s okay.” Sorry I paraphrased a bit, but you get the idea — I hope. I’m grasping for words at the moment that truly convey what this post did for me, but it helped tremendously with perspective. Believe it or not, today’s blog post was inspired partially by your latest post!!! We have much in common, except I am 10 years older than you! At the end of the day, it does not matter WHERE you live or WHAT you do, only that there is LOVE in the home. And I love getting encouragement from you! xoxoxo PEACE. i have gained a lot of knowledge from my awesome friendship with you guys. I have also passed on my own in your direction. Life has always given me curve a ball. And I have always went to bat. My freind ship with Mike is like no other it’s not big city nor is it small town.there is no biase to our freindship we are both equals in different ways. It’s these type of friendships that make the world a better place.thanks for being a great freind to me and my family. Love all of you. Mike Joan, Eza, and yes you too my profit all player mar mar. You have no idea how much I needed to read this today. The hubs and I are having a “discussion” about how to behave with one another (it’s about money…isn’t it always) and I think…pffft…we’ve been through worse and it’s always OKAY. I had to leave my dream home in a small town that I loved to move to the city for my job. I learned then that the neither the dwelling nor the location matter at all so long as you move the love along with you. Great post – thanks for commenting so I could find your site!